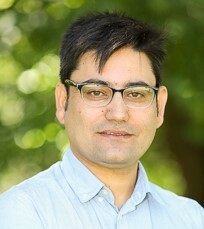 Masood Azeem is a postdoctoral research fellow at the Centre for Agribusiness in the UNE Business School. He is an economist by training and a graduate of the University of Western Australia (UWA) where he completed his PhD in Economics. He holds a Bachelor of Agriculture and a Master in Development Economics with first class honours from the University of Agriculture Faisalabad (UAF), Pakistan. He joined UAF’s Institute of Agricultural and Resource Economics as a Lecturer in the year 2006. Dr. Masood served at UAF for 5 years before proceeding for PhD studies at the UWA. His research is empirical in nature with a strong policy focus. He has published his work in refereed journals including Journal of Development Studies, Food Policy, Journal of Asian Economics, and Social Indicators Research. Dr Azeem has recently completed and submitted two research papers to peer-reviewed journals. The first examines factors affecting customers’ share of wallet spent in various supermarkets. The second characterizes food buyers’ loyalty to brands and stores. In both cases the implications for food industry managers of the changing agribusiness competitive environment are examined. On-going work by Dr Azeem involves three new studies on innovation. The first uses an international database maintained by the World Bank, which allows insight into the extent of innovation in agribusiness and the factors explaining innovation performance. The second aims to use Australian Bureau of Statistics Data generated from surveys of innovation by Australian firms. The third will be the subject of a large scale survey, to examine linkages between innovation and vertical integration in Australian agribusiness (i.e. “farm to fork”). Azeem, M. M., Mugera, A. W., and Schilizzi, S. (2017) From Static One-Dimensional Poverty to Vulnerability to Multi-Dimensional Poverty: An Empirical Comparison of Alternative Measurement Approaches. The Journal of Development Studies, 1-25. Azeem, M. M., Mugera, A. W., Schilizzi, S., & Siddique, K. H. M. (2017). An assessment of vulnerability to poverty in Punjab, Pakistan: Subjective choices of poverty indicators. Social Indicators Research, 134(1), 117-152. Azeem, M. M., Mugera, A. W., & Schilizzi, S. (2016). Living on the edge: Household vulnerability to food-insecurity in the Punjab, Pakistan. Food policy, 64 (2016): 1-13. Azeem, M.M., A. Mugera.,and S. Schillizi. (2016).Poverty and Vulnerability in the Punjab, Pakistan: A multilevel analysis. Journal of Asian Economics. 44(2016):57-72.